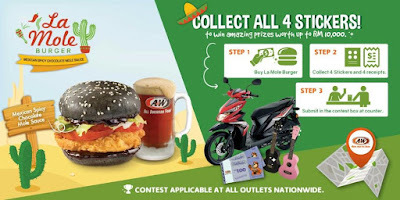 Home » creative » Food n Beverage » Honda » offline contest » purchase » slogan » spend » A&W Malaysia Contest: Buy La Mole Burger, Collect All 4 Stickers & Win Amazing Prizes Worth Up To RM10,000! A&W Malaysia Contest: Buy La Mole Burger, Collect All 4 Stickers & Win Amazing Prizes Worth Up To RM10,000! 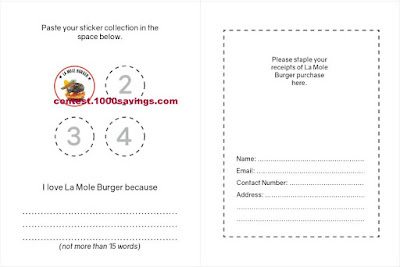 Buy A&W La Mole Burger (ala carte/combo). 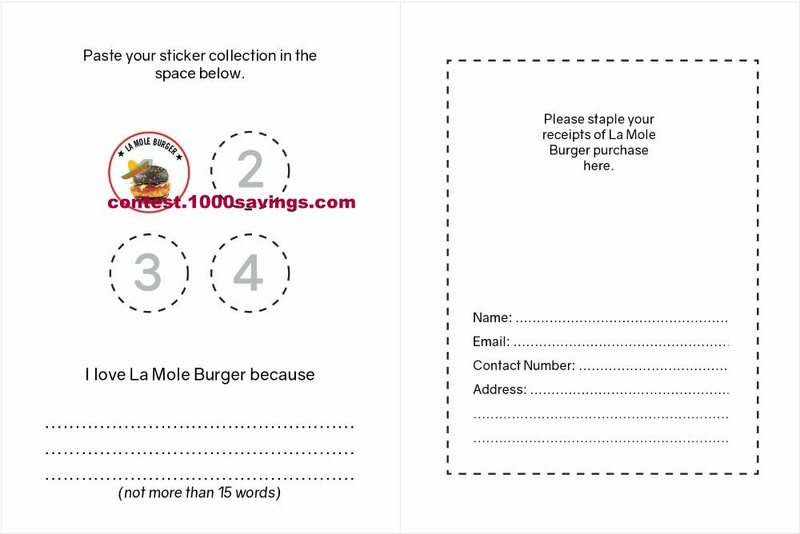 Each purchase of the La Mole Burger will entitles you to get 1x sticker. Collect all 4 stickers and 4 receipts of purchase and attach to the Contest Card which you may get from the cashier counter. Complete the sentence "I Love La Mole Burger because.....". Submit the Contest Card in the contest box at counter. 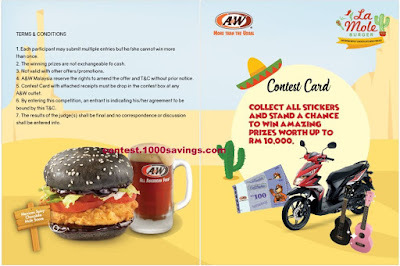 Visit A&W Malaysia Collect & Win Contest page for more details.